I got a sinking suspicion that the GOP aren't going all out to secure wins in these close races to damage Trump. 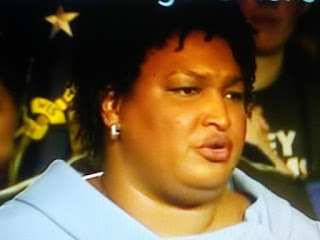 Fox News reports Democrat Stacey Abrams said she expects a federal judge to rule Wednesday in largely her favor regarding the federal lawsuit from her campaign filed over the weekend in hopes of forcing a runoff election in Georgia’s unsettled governor's race. If the judge rules in favor of Abrams, the suit would prevent officials from certifying county vote totals until Wednesday and could restore at least 1,095 votes that weren't counted as it would require officials to tally any votes that were wrongly rejected. The campaign said thousands of more ballots could be affected.